Is a THIEF robbing you of GOOD HEALTH? We don’t have to tell you about the importance a good diet plays in overall health. More and more of us have jumped onboard the “healthy bandwagon”, paying closer attention to what we put into our bodies. We’re spending more time reading ingredient labels on food products and we’re buying more and more organic produce. We have been educated that a diet high in vitamins, minerals, enzymes, phytochemicals, antioxidants, essential fatty acids, fiber and amino acids – along with proper sleep, exercise and stress management techniques, are all necessary for retaining good health. Perhaps you are frustrated by persistent tiredness that borders on chronic fatigue. You could be experiencing migraines or tension headaches. Or, you suffer from frequent bouts of allergic rhinitis or colds. In reality, your lifestyle may not be at fault. The culprit could be a vitamin deficiency. Like a “thief in the night”, deficiencies in specific vitamins and minerals could be robbing you of good health. It’s a medical fact that proper levels of vitamins, minerals, and other nutrients are needed to maintain our immune function, energy levels, and normal body metabolism. 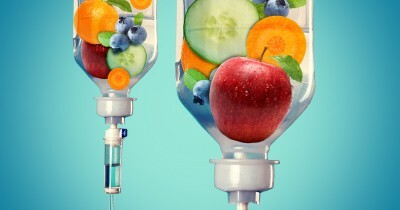 IV Therapy can help correct nutritional deficiencies that are the root cause of several health-related conditions. At Guyer Institute, our IV Therapy procedure is used by many patients to eliminate a variety of symptoms related to nutrient deficiencies. Since it’s inception in the 1980’s, subsequent physicians expanded and further refined the use of IV Therapy. Today, Guyer Institute has performed well over 100,000 IV Therapies. Many of our patients notice immediate improvement. This is because infusing vitamins and minerals directly into the blood stream bypasses the limitation of the digestive tract and its own mitigated ability to absorb them. Please note: A few infusions can correct a deficiency that would have required two to three years worth of oral supplements. If you suspect a THIEF is robbing YOU of good health, get read of him! Our IV Therapy will banish the thief once and for all, while quickly restoring you to good health!